Roo, born with a congenital deformity in three of her legs, cannot walk normally. That’s what Roo, a 1 year old Basenji mix, would say if she could talk. Born with a congenital deformity in three of her legs, Roo cannot walk normally. The once abandoned puppy is now an emotional support dog in a counseling program for traumatized children and adults at Ranch Hand Rescue located in Argyle, Texas. 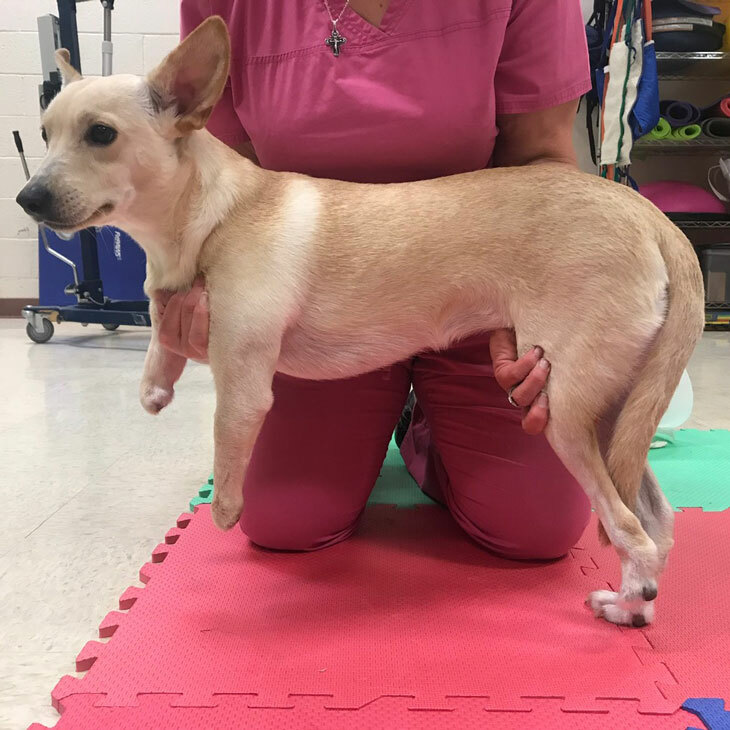 Ranch Hand Rescue is trying to secure funding to cover the cost of three prosthetics for Roo and the rehabilitation necessary to help the young dog walk. The cost of each prosthetic is approximately $2,000 and the cost of rehabilitation is about $200 a day. Blake estimates that it will take about two months to adjust the prosthetics and train Roo to walk. If you would like to help Roo live a healthier, happier life, please contact Ranch Hand Rescue at 940-240-0500 or visit Ranch Hand Rescue.